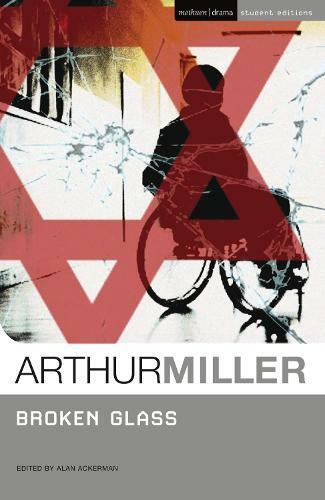 This Student Edition of Broken Glass is perfect for students of literature and drama and offers an unrivalled and comprehensive guide to Miller's play. It features an extensive introduction by Alan Ackerman which includes a chronology of Miller's life and times, a summary of the plot and commentary on the characters, themes, language, context and production history of the play. Together with over twenty questions for further study and detailed notes on words and phrases from the text, this is the definitive edition of the play. Set in Brooklyn in 1938, Broken Glass is Miller's moving study of marital relations, Jewish identity and anti-Semitism that won the Olivier Award for Best New Play in 1994. Sylvia Gellburg is stricken by a mysterious paralysis in her legs for which the doctor can find no cause. He soon realises that she is obsessed by the devastating news from Germany, where government thugs have begun smashing Jewish stores. But through a series of meetings with her husband Phillip he learns that this experience is intermeshed with their strange relationship and the deceptions and hostilities that lie at the heart of their marriage. Professor Alan Acklerman's expertly edited edition of the play provides a wide-ranging study of Kristallnacht, and of American and European responses to the Holocaust, the situation of Jews in America from the 1930s to the 1990s, the Great Depression and other Holocaust and Jewish drama.